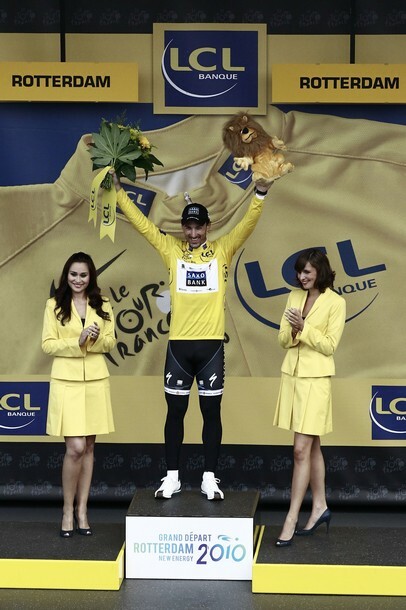 Winner of the prologue, Switzerland’s Fabian Cancellara, celebrates on the podium his Yellow Jersey of overall leader on July 3, 2010 in the 8,9 km prologue and individual time-trial run around Rotterdam during the 2010 Tour de France. I wish Fabian could win the entire tour. Riders like him are the greatest.